The YDIB0825 ice breaker has main frame, connecting frame, support arm, hanger, ice breaking unit, hydraulic power unit, storage frame and control system. 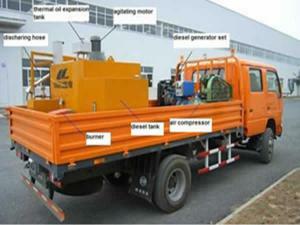 It is mounted at the hanging frame in front of any kind of brand or model truck to break ice while truck is moving. 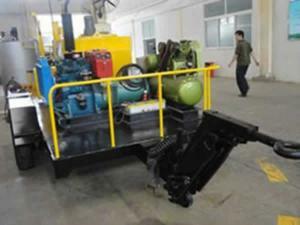 The ice breaker is equipped with independent hydraulic power unit from the chassis, no need extra power unit. The cutters are made of special steel featuring good properties of low temperature, toughness and wear resistance. The whole ice breaker is coated with many layers of antirust primer finished with an orange external coating for its nice appearance. 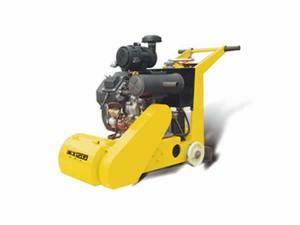 With deadweight of 907 Kg, the ice breaker is able to press cutters to the ice performing good breaking results. The maximum breaking depth of a single shock reaches 50 mm. 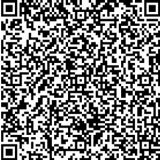 Its structural components are made of Q345D high-strength low alloy structural steel with excellent low temperature performance. 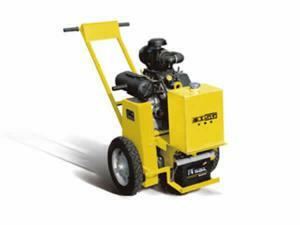 Additionally, it has accumulator to absorb other shocks from uneven pavements. All the ice breaker operations can be done by the operator from the cab including float laterally fitting, suitable to work on different pavements. Its four shortcut connected auxiliary supporting wheels make it convenient to store, move and assemble or disassemble. 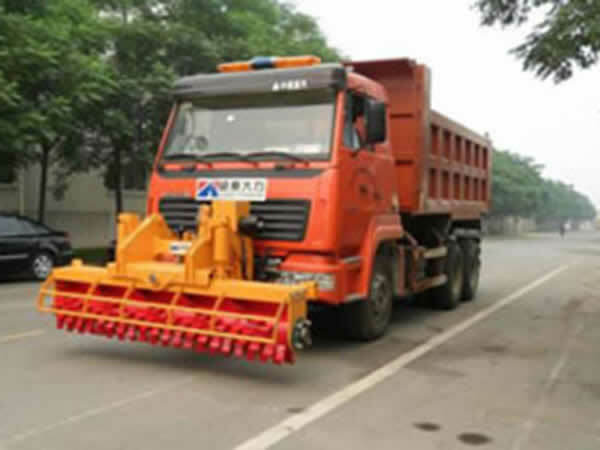 It is usually applied to break ice of high-level roads, urban roads, squares or scenery spots during heavy winter.